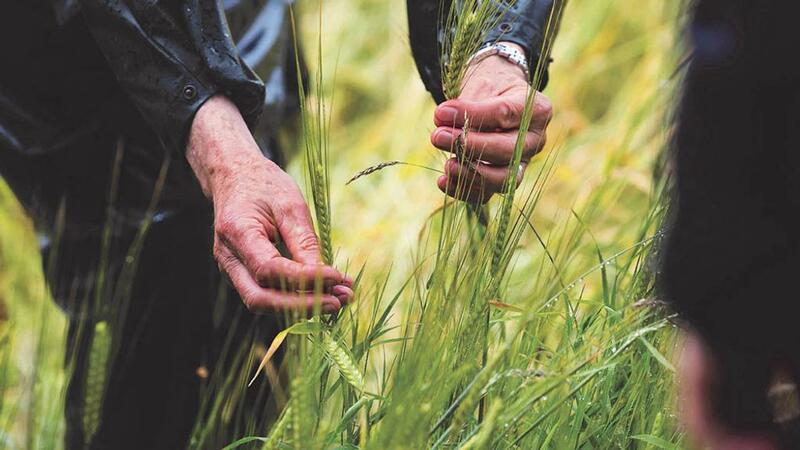 In an environment where extreme weather can be the difference between crop success and crop failure, we ask whether older spring barley varieties some growers achieve more reliable yields. Abby Kellett reports. Responding to a demand for high-yielding cereals, breeders have continued to develop spring barley varieties which are able to focus their energy on producing large and bulky grains, but have varieties become less resilient as a result? To test whether older, more traditional varieties have a place on the modern day arable farm, AHDB monitor farms from across the UK have sown four different varieties of spring barley in 0.4ha plots; Swedish variety Anneli, Finnish variety Brage, a UK heritage variety, Golden Promise and a variety which is representative of modern genomics, Fairing. Peter Martin, director of the Agronomy Institute at the University of Highlands and Islands, explains: “A major difference between heritage and modern varieties is grain yield, which will normally be higher in modern varieties under current agricultural systems. In part, this results from another major difference – the much shorter straw length of modern varieties – and the allocation of a greater proportion of plant dry matter to the grain. Shorter straw allows a better crop response to inputs such as fertiliser and more grain-bearing heads per unit of land. Dr Martin suggests the ability of older varieties to survive in low input systems may be useful in marginal areas or in seasons which are made up by prolonged periods of drought, rain or cold. Emily Smith, AHDB knowledge transfer manager, says: “We chose Fairing because it is the earliest of the new varieties, has some of the strongest agronomic features and serves as a baseline for modern genomes. Both Anneli and Brage were chosen because other North European cereal varieties have been grown in challenging areas, including Shetland, in recent years and have been largely successful due to their early maturity. The varieties have been sown in four locations across the UK: Shetland, Cornwall, Hampshire and Northern Ireland – all of which have unique challenges associated with the region. Dr Martin says: “In many of Britain’s more marginal cereal growing regions, like the Highlands and Islands of Scotland, soil conditions often only allow spring barley to be sown in April and because the growing season is cool, it is usually not harvested until September. The project began by taking baseline assessment of soil conditions, current varieties grown on farm and crop performance. For Shetland monitor farmers, Kirstie and Amiee Budge, who farm Bigton Farm on the South Mainland, Propino and Waggon have been the varieties of choice for a number of years. At Truro Monitor Farm in Cornwall, the soils types can make creating the right seedbed a challenge, but providing spring weather conditions are favourable, according to famer Howard Emmett. He says spring barley grown on the farm typically achieves 6.8-7.5t/ha, although issues with lodging last year meant crops averaged around 6.4t/ha. The 67ha of spring barley currently grown on the farm is made up of Westminster, Chronicle and Sienna. “Westminster suits the farm – it is a good straw yielder and a reasonable grain yielder. Chronicle and Sienna are both in their third year on the farm,” he adds. The four trial plots established for the AHDB project were sown on April 12 – later than usual because of persistent wet weather. The trial field received pig muck and was heavily cultivated before the plots were sown with a Vaderstad disc drill at 180kg/ha – the standard seed rate used on the farm. Throughout the investigation, monitor farmers and AHDB staff will be looking at a range of parameters including growing conditions, disease resistance, fungicide performance, establishment, weed pressure and of course yield. Most of Mr Emmett’s plots emerged within 10 days of sowing and all plots have established reasonably well. So far, there is little difference between the plots, according to Mr Emmett. “They all got out of the ground quickly and the establishment has been pretty good across the board. It is too early to identify differences between varieties yet, but the real test will be when the combine goes in. “The plots will receive two fungicide applications and possible a growth regulator depending on how the crops develop in the coming weeks. I am not sure what to expect from the varieties so it will be interesting to see how they cope with disease pressure and how they yield come harvest,” says Mr Emmett.